We are in the thick of High Holiday season! Rosh Hashanah is now behind us, and we are looking ahead to Yom Kippur from the Aseres Y’mei Teshuva – the Ten Days of Repentance. 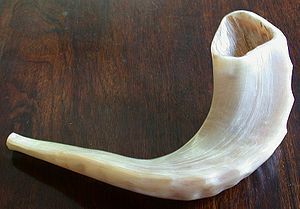 I thought a post inspired by an article I read on Aish.com about Yom Kippur would be appropriate for today’s Torah Tuesday. The article brought a fascinating concept that I hadn’t heard before. It states that the Ten Days of Repentance parallel the Ten Commandments (today lines up with You Shall Not Kill), which means that Yom Kippur lines up with You Shall Not Covet. Coveting goes beyond the idea of admiring something nice that someone else has. It actually means that a person who covets someone else’s car wants that car, and wants the owner of the car not to have it. Pretty intense, huh? This is really an abhorrent attitude! Would we really want to have more money than our neighbors that badly? What’s up with that? Do Possessions Really Make Us Happy? We are bombarded with advertisements, and even for those of us who don’t have television in our homes, we still see ads in various publications, and we see the clothing and possessions of our neighbors who are maybe a little more fashionable than us, or a little more well-to-do than we are. Well, new flash: There is always going to be someone who has more than we do. However, the pleasure that is derived from buying something wanes quickly after buying it. Yes, I love buying a new pair of shoes, or a new outfit, but after that first initial rush of pleasure, the item joins the ranks in my closet and I don’t get that fuzzy feeling anymore. I read or heard once (sorry, I don’t remember the source) that no matter the value of the new item purchased, whether it’s a new car or a new pack of mechanical pencils (yes, I do get pleasure from that), the thrill wears off at roughly the same rate. What does this have to do with Yom Kippur? Well, YK is a day on which we deny ourselves many basic physical pleasures. No eating, drinking, hugging the husband, wearing leather and washing or applying lotion. Just focus on the spiritual, on what can really give us happiness in life: a connection with G-d. Really, when it comes down to it, all the physical pleasures in the world that we can enjoy pale in comparison to the ultimate pleasure of cultivating a meaningful relationship with the Creator of the world. I mean, that is kind of why we’re here and all. So this Yom Kippur, even though I’m not going to be making it to synagogue to pray (my responsibilities as a mommy to Little Man trump the obligation to pray in a synagogue), I am going to take the opportunity to reflect on what is really the key to happiness in life. Wishing everyone a meaningful fast, and a good and blessed year! Thanks for sharing this with us. Not wanting more and more things is not always easy. You’re welcome. Thanks for reading it! It is awfully hard to not want things. I think the flagging economy makes it slightly easier right now. Maybe. Only very slightly though; if only by reminding us tnat some other peope are much worse off. Thanks for sharing a little about Jewish tradition as well as giving us food for thought. I walked away from a paying job last year to stay home and write, so I’m living off my retirement and being very careful with finances. It has challenged me to look at my, formerly extravagant, purchases in a new light. I’ve discovered that this simpler, more pared down existence is just fine. I pay more attention to what I buy and stop to think about why and what I will gain from the purchase. I do miss my twice a month massages (terribly) and walk around tense, but this has been a good experience for me. Pleasure! Isn’t it amazing how less can really be satisfying? Since my husband is a resident, we’re also very frugal about our spending. I hope that you soon get enough writing gigs to get at least one massage a month! Or maybe you can find some massage students in need of practice hours?